The arrest of Huawei CFO, Sabrina Wanzhou Meng, capped off a year of escalating tension between the United States and China centered around China’s high-tech companies and 5G. Her detention in Canada sparked outrage from the Chinese government and state-controlled media. This highlighted, in a way, the degree to which Chinese high-tech giants are the darlings of Beijing and the Communist Party. More urgently, her detention at the request of the United States brought the United States and China into direct conflict, a conflict that, before her release on parole, seemed poised to spiral out of control.Even now, United States and Canada are protesting arbitrary detentions of Canadian citizens in what appears to be a Chinese response of “hostage taking.”This escalation in tensions resulted primarily from the Trump administration’s new, hardnosed tactics for dealing with China, a move which seems to have caught the Chinese by surprise. To be sure, the Obama Administration voiced concern over the cozy relationship between Huawei, ZTE and the Chinese government from both an economic and national security standpoint, but the previous administration’s name-and-shame focus on hackers left China’s telecom giants mostly alone. In fact, Chinese experts on U.S. diplomatic policy may have concluded that the United States would continue to lecture China on trade issues involving its high-tech giants but take no concrete action to harm Chinese interests. This changed with the Trump administration, which first caught the world’s attention by sanctioning ZTE for violating U.S. sanctions against Iran. ZTE put some effort into hiding its transfers of U.S. technology to sanctioned Iranian entities, suggesting it knew the United States would object, but it is likely that Beijing’s telecom giant felt that its activities were outside the reach of the United States. This changed in April 2018 when the Trump administration proposed a complete ban on trade with ZTE. This ban threatened to bankrupt the company, which was dependent on U.S. manufactured components.President Trump intervened to avoid ZTE’s bankruptcy and the Commerce Department agreed to a $1.4 billion fine instead in June. 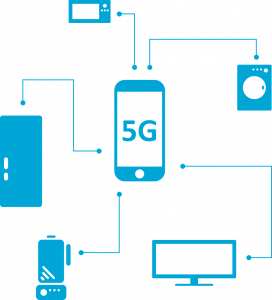 • China’s central government announced plans to dominate the global 5G market as part of its five-year economic plan, suggesting that the government will do everything it can to favor its domestic 5G players. When seen in this context, the investigations over Iranian sanction violations are more than a diplomatic move to isolate Iran—which they are in part—but an opportunity to disrupt efforts by Huawei and ZTE to dominate world 5G markets. That goal is and will remain a major national security and economic objective of the Trump administration in 2019. This is an area of shared concern with Japan and we can expect significant diplomatic interaction between our two countries on this topic. Mark Gurman, Natalie Obiko Pearson, and Josh Wingrove. “Huawei’s CFO arrested at U.S. Request; Sparking outrage in China,” Bloomberg, December 5, 2018. Chris Buckley and Catherine Porter. “Canada Presses China on ‘Arbitrary’ Detention of Citizens,” New York Times,December 22, 2018. https://www.nytimes.com/2018/12/22/world/canada/canada-china-detention.html. Su, Jean Baptiste. “How the U.S. Export Ban Effectively Bankrupts China’s Telecom Giant ZTE: Analysis,” Forbes. April 17, 2018, https://www.forbes.com/sites/jeanbaptiste/2018/04/17/how-the-u-s-export-ban-effectively-bankrupts-chinas-telecom-giant-zte/#7f18a7e8720c. Bloomberg staff. “China’s ZTE to pay $1.4 Billion U.S. Fine to Get Back in Business,” Fortune.com. June 7, 2018,http://fortune.com/2018/06/07/china-zte-fine-billion/. William “Bud” Roth is the Non-Resident Fellow for Cybersecurity at Sasakawa USA, specializing in topics including cybersecurity law, Internet investigations, cyber and national defense, forensic analysis, counter-terrorism, and telecommunications. Read more of his research and analysis in Sasakawa USA’s cyber beat blog here.